Old chapel made new: good wines, exquisite old interior. 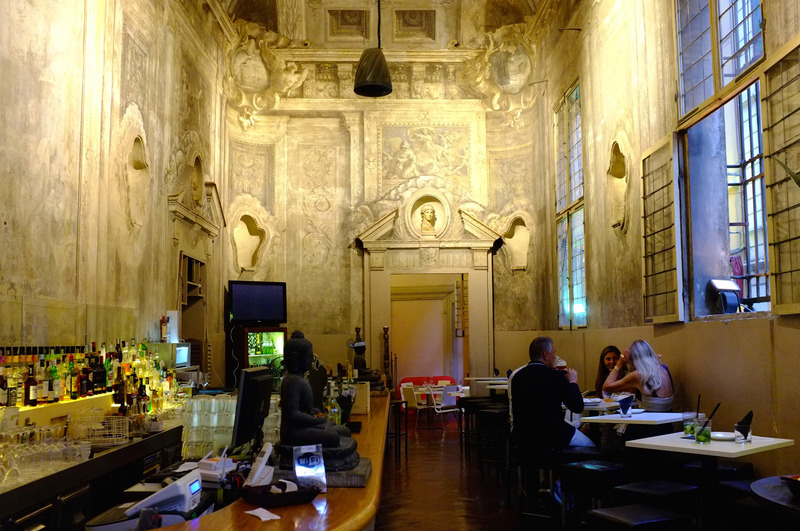 Once an old chapel belonging to the noble Bentivoglio family, Le Stanze has been turned into an exquisite bar and restaurant. 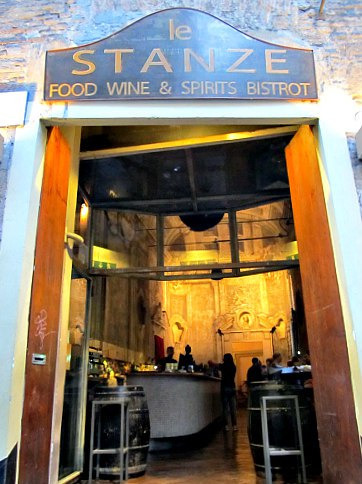 Since then Le Stanze has come to be known as one of Bologna's most elegant aperitivo spots. Start an evening out with a relaxed chat under its lofty vaulted ceilings and get to know the story of the family, literally written on the walls featuring original 18th-century frescoes. Order a Spritz or a glass of wine, served with some nibbles including various spreads, roasted vegetables, pizzette, and savory salads. Attention: Stopping at Le Stanze for an aperitivo, you might end up canceling you dinner plans, so irresistible and impressive is the place.